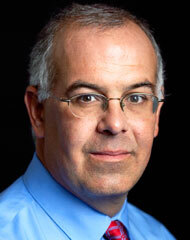 David Brooks in an Op-Ed column entitled “How People Change” (NYT, 11/26/12) inveighs against negative criticism. A psychoanalyst named Heinz Kohut believed in the virtues of supportive behavior. Hopefully the recipents of such behavior, let’s call them Kohutians, would be happier than those poor souls who’d spent their lives being chastised. Still Brooks seems to derive some glee in recounting the story of one of Britain’s most recent culture heroes, Nick Crews. Crews sent a negative e-mail to his disappointing brood of children which has gained notoriety in England as the “Crews Missile.” Brooks quotes from the finale of the e-mail, which Crews’s daughter “released …to get publicity for a book she is translating,” thusly, “I want to hear no more from any of you until, if you feel inclined, you have a success or an achievement or a REALISTIC plan for the support and happiness of your children to tell me about.” This philosophy of child rearing is what is also known as tough love and it’s probably been embraced by Crews’s crew out of frustration with the touchy feely school of child rearing, a kind of permissiveness that reached it’s epitome in the England’s famed experiment in teaching, A. S. Neill’s Summerhill School. But will the average individual brought up like Pip or David Copperfield rise from the harsh conditions of their upbringing to become productive members of society? Are not characters like these the stuff of fiction precisely because they’re so unlikely, albeit Copperfield being a sit in for the author himself. Brooks concludes his piece by saying, “You can tell people that they are fat and that they shouldn’t eat more French fries, but that doesn’t mean they will stop... Don’t try to bludgeon bad behavior.” And he carries the notion into the political sphere too. Thus the reader of Brooks’s column might ask, if Kim Jong-un is acting up in the international sandbox, is a swift and severe punishment the only way to treat his misbehavior?